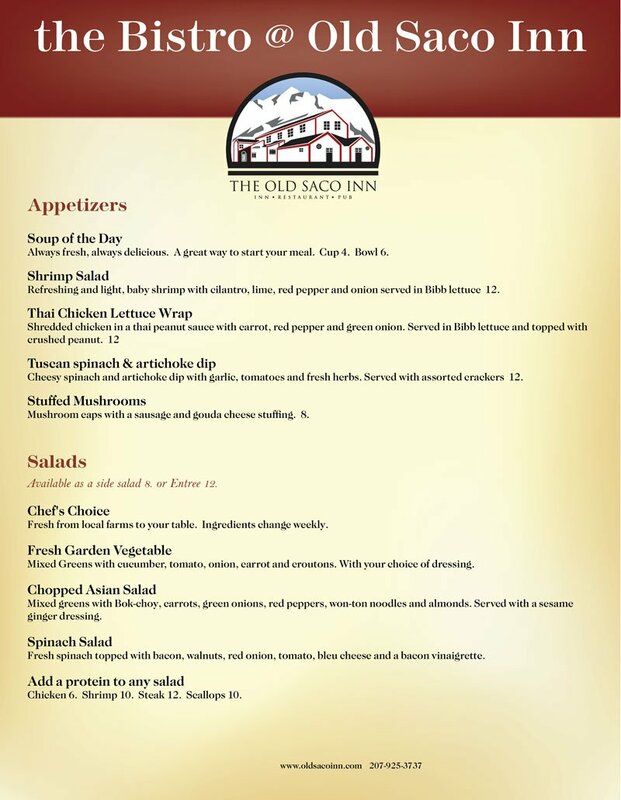 The Bistro @ Old Saco Inn is open for Dinner at 5pm on Thurs, Fri, and Saturday evenings year round. 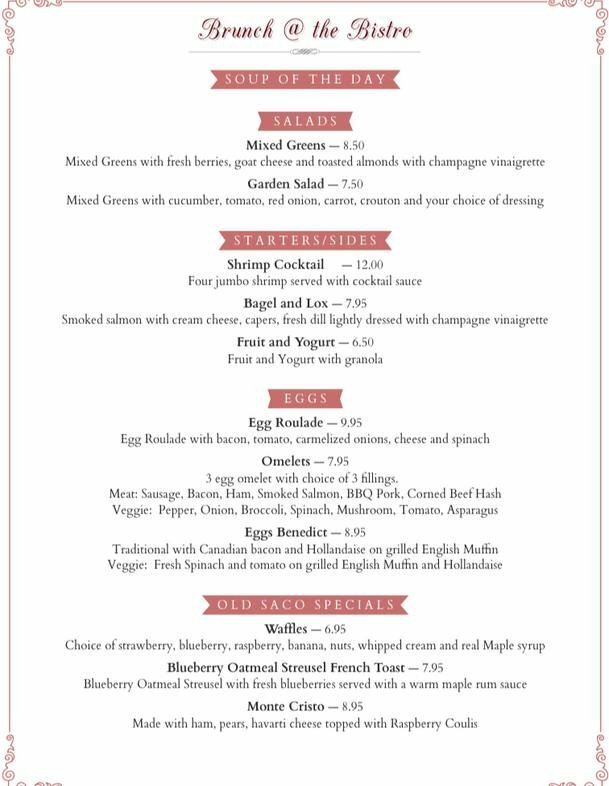 Sunday Funday brunch begins at 11am one Sunday a month during winter season. Reservations are not required but are highly recommended as our seating is limited. A gratuity of 20% will be added to all parties of 8 or more. 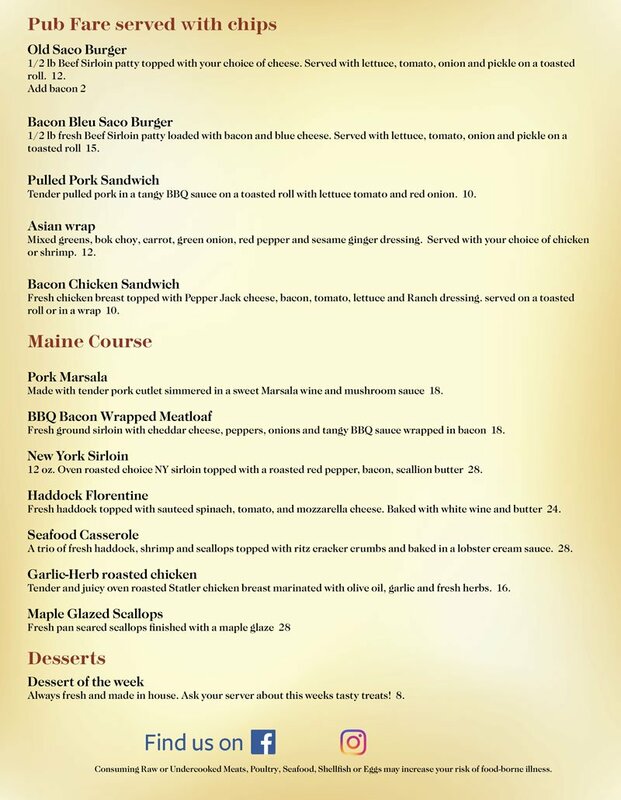 See below for our Fall menu.